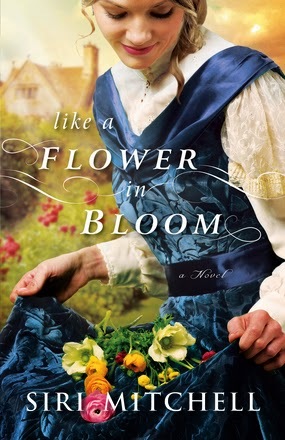 Grandma's latest review is for Like a Flower in Bloom by Siri Mitchell. The publisher sent us a review copy in exchange for our unbiased opinions. Keep reading to see what Grandma thought of this book. Like a Flower in Bloom was captivating from beginning to end. It begins in England in 1852 with Charlotte and her father, a botanist writing and illustrating books. As an avid gardener, I found the descriptions of plants and flowers so wonderful. Charlotte has been managing writing and the family household since the death of her mother, also a writer, because her Father was unable to cope. The Admiral, Charlotte's uncle arrives on the scene to try and make things easier for Charlotte and to introduce her to society. Also arriving is Mr. Trimble, along with some specimens of his. Mr. Trimble was known to be a sheep farmer and had come to assist Charlotte and her father. It becomes quite an amusing story as Charlotte is introduced into society to find a husband, all the while being "tutored" by Mr. Trimble. After a circle of events, revelations are revealed about Mr. Trimble, and the ending of the book is delightful and satisfying. I most enjoyed the field trips and the wonderful descriptions of plant life, After reading Like a Flower in Bloom, I have a much better understanding of the importance of the work a botanist does. It was hard to stop reading and put the book down each night, and I would highly recommend it, especially if you are a gardener and have a love of plant life.